30 Teams. 30 Posts: New York Yankees. | ninety feet of perfection. 30 Teams. 30 Posts: New York Yankees. 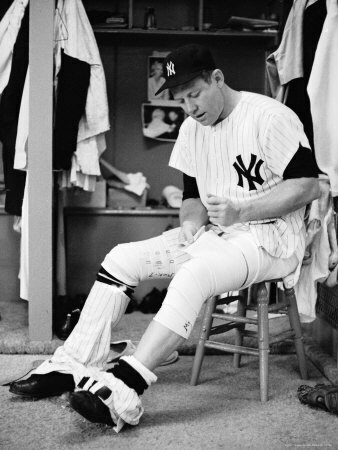 Mickey Mantle. For 18 seasons he played with the Yankees and for 18 seasons he played with pain. From the moment he blew out his knee in the 1951 World Series until he hung up his cleats after the 1968 season he dealt with injury after injury which limited his production on the field. From what I understand, he wrapped both of his legs up like this every day to help deal with it. 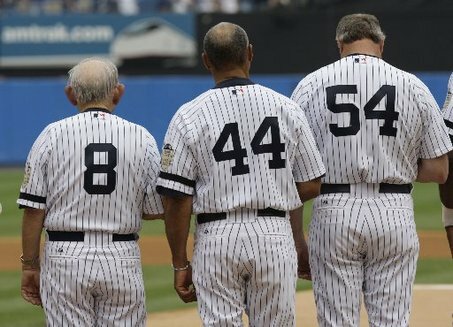 A cool article based on a new book about Mantle was published back in October which suggests that he was a “neuromuscular genius” and that he might have played with a torn ACL for 17 years. Read the article HERE. It makes me wonder what Mantle would have accomplished if modern science existed during his playing career and if he took a little better care of himself. 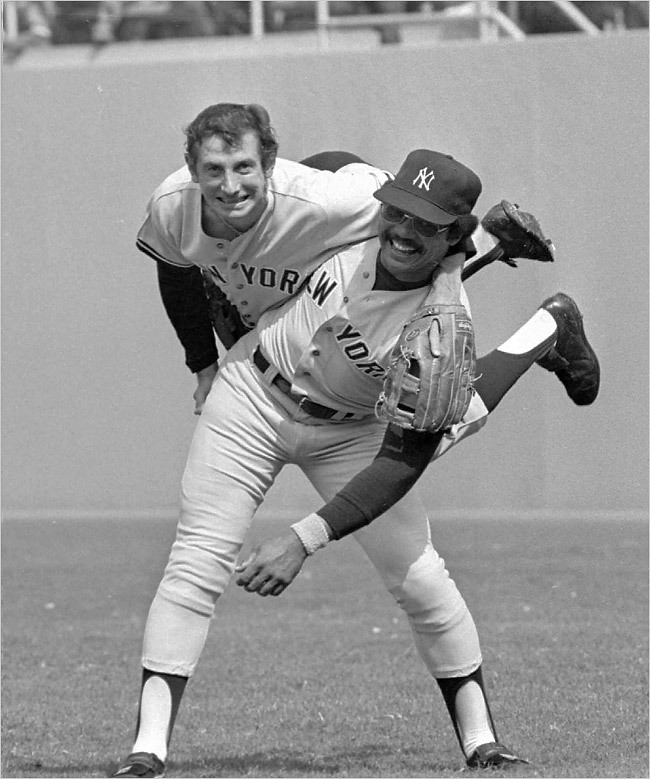 Reggie Jackson clowning around with his skipper, Billy Martin. I guess they didn’t always hate each other? 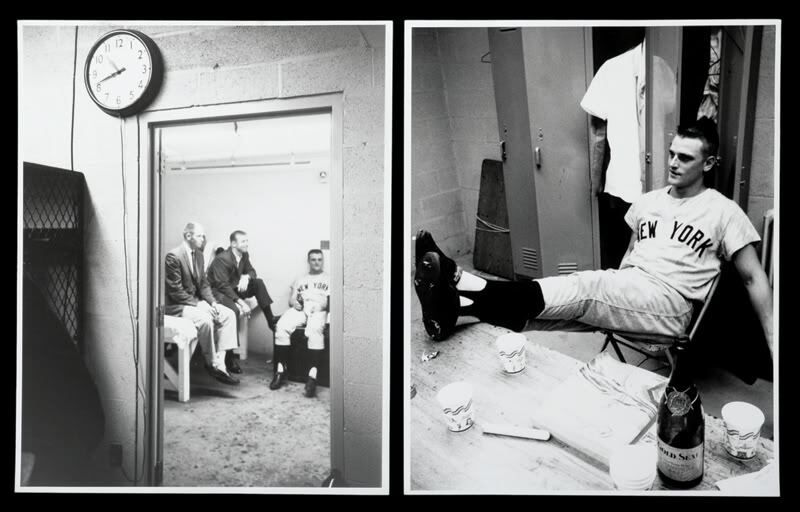 Roger Maris in the clubhouse in 1961 after breaking the single season Home Run record. I think it’s safe to say that he was relieved. May 2, 1939 in Detroit. 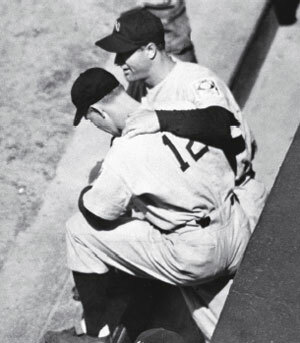 Lou Gehrig talks to Babe Dahlgren in the dugout in a game against the Tigers. Dahlgren replaced the Iron Horse at First Base that day when Gehrig benched himself and effectively broke his streak of 2,130 consecutive games played. This had to be a crazy day for Dahlgren but at the same time he knew a little something about streaks himself as he had a 621 game streak when he played in the PCL as a member of the San Francisco Mission Reds during 1931-1934. Smaller scale of course, but still impressive to say the least. Yogi Berra, Reggie Jackson, and Goose Gossage at an old timers game at Yankee Stadium. I love this photo, especially Berra in it. ~ by duaneharris19 on January 20, 2011.